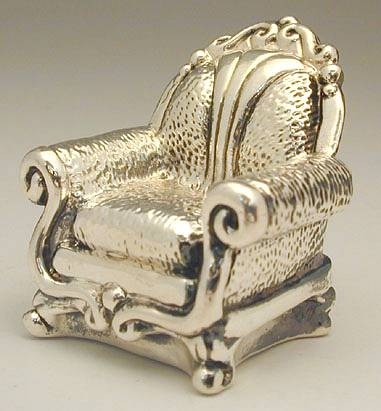 couch miniature Marvelous artisan sterling silver (NOT silver plated) couch miniature. 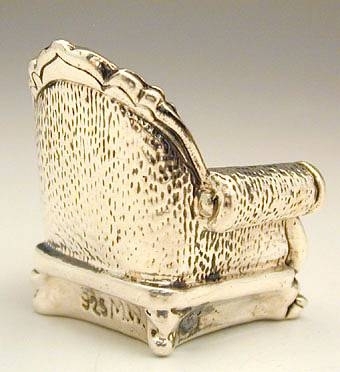 This beautiful couch miniature is superbly executed with great attention to details. This item was made in the electroforming method. Measurements: Height: 1.5in. / 3.81cm. Width: 1.3in. / 3.302cm. Weight: 19gr. / 0.611oz. Marks: 925 for sterling silver.